At the edge of the world, there is the tiny town of Marble Hill, Missouri - okay really we are not at the edge of the world, but that is what my darling husband likes to say.....yes locals, he is foreigner! Tonight we drove through McDonald's for some ice cream and did what my parents did years ago - drove around our "edge of the world" tiny town and looked at Christmas Lights! As we drove, my heart was proud of our "edge of the world" tiny town and the love, cheer, and pride that is displayed for all to see. This makes me smile that I live in a community that can share our beliefs without worry or fear! 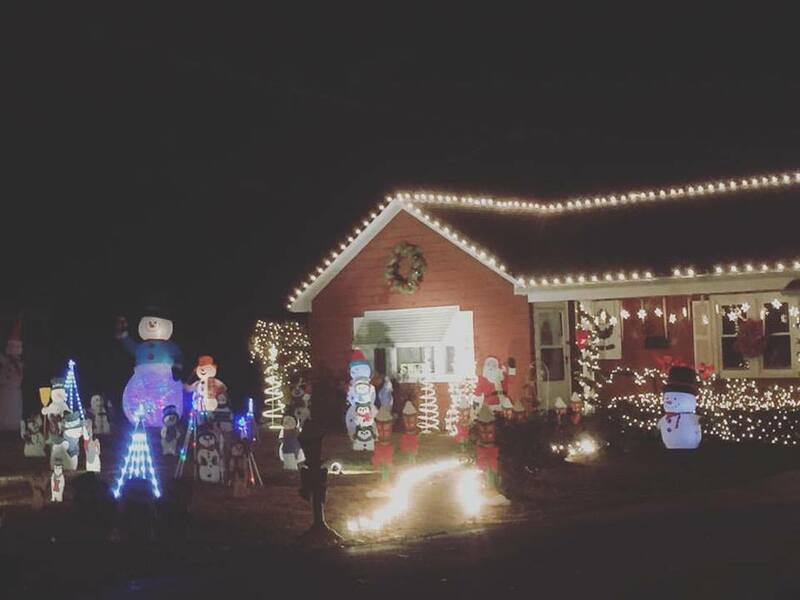 Across the street from the Bollinger County Courthouse stands Wicecarver Store; no longer open for business, but proudly putting smiles on the kid's faces with all the pretty lights and decor! I am not an expert on Wicecarver Store, but what I do know is the store front is decorated beautifully every holiday season by the loving hands of Ms Trankle and Ms Cooper! Secretly I drive by daily just so I can admire the lovely building! And hours of love and care - just for us to enjoy! The lights do not stop there! No direct route to this house, located on Gilmore Street (behind Marble Hill Medical Center) is this house! Creative I say, these people must be related to Santa!! In the middle of town, Magnolia Park stands this lovely tree - I might be a bias, but only because this tree was decorated by the community coming together for the community! Graham Street - location of The Mustard Seed - beautiful lights! The Mayfield Cultural Center - the tree in the window is stunning! The Marble Hill Water Tower - you will not see it at night, but you will see the star!